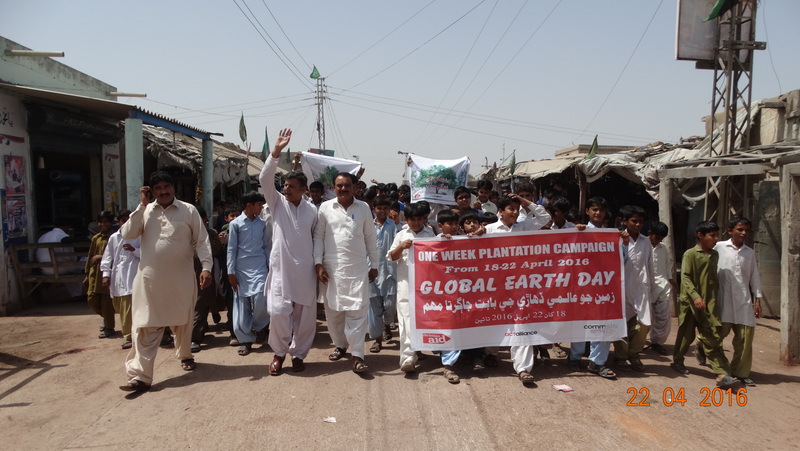 Students and teachers participated actively in a walk/rally, in district Sujawal, organized by Community World Service to mark the importance of Global Earth Day. Every year, Global Earth Day is celebrated across the globe to call for action against harmful environmental practices and to help spread awareness about protecting the Earth’s natural environment. 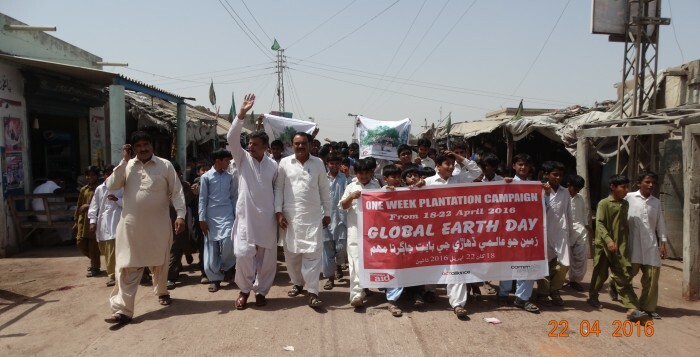 To mark the importance of this day and the cause it represents, Community World Service Asia, with support from Christian Aid, pledged to plant 4000 trees in various localities of districts Thatta and Sujawal in Sindh. The team collaborated with Plan International, Action for Humanitarian Development (AHD) and Voice of Youth Group to make this possible. Titled ‘One Family, One Tree,’ the campaign ran for an entire week (18-22 April) and was inaugurated by chief guest Mr. Abdul Latif Brohi, Assistant Deputy Commissioner , who planted a tree at the DC office in Thatta. Over the five days of the campaign, trees were planted by men, women and children in schools, government offices, roadsides and villages. Youth volunteers and teachers also participated in the activity.